We all want to keep out house clean and stain free. You cannot say anything is wrong in this requirement because staying in a clean house is always the best way of having a good life. However, many times, you get some stubborn stains in your home and you fail to clean the same with ease. In order to clean these stubborn stains, many people prefer to use different kind of chemicals and that is definitely a trustworthy method for same. But a lot of other people are also there that trust on toothpaste to remove stubborn stains. Because of this reasons you and many other people that do not use this option can wonder about its use. Also, you may ask can toothpaste remove stubborn stain? If you have the same question, then answer is yes for you. 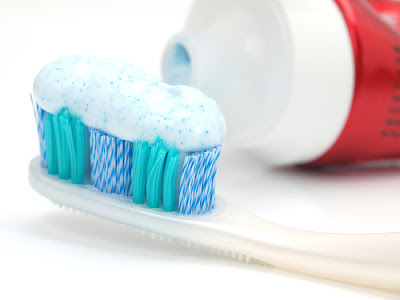 There are so many ways that toothpaste can help you remove stubborn stains in your house and I am sharing some of the methods below with you in this article. You can clean your iron: When you use your iron for sometimes, then it gets a specific deposition of minerals on its surface. Normally you find it really hard to remove that kind of stubborn stains from your iron and it affect the capacity of iron as well. But toothpaste can be a great solution for you in this situation. You can rub some toothpaste on the iron with toothbrush and it will break the deposition of mineral from your iron. After brushing it for some time you can wipe it with a damp cloth and you will have a clean iron easily. If you have anything else in your house that has any kind of mineral deposition on it, then you can try to remove those stains also with the help of toothpaste. Chances are high that you will be able to remove those other stains as well easily. 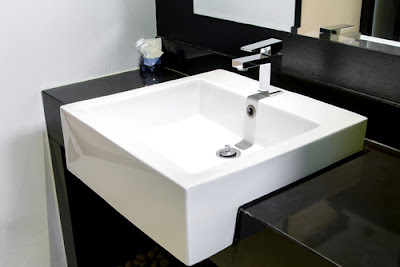 You can clean bathroom sink: Your bathroom sink is one of those places that always get stubborn stains on regular basis. If you want to remove these stubborn stains, you can always remove that easily using toothpaste. For this cleaning you can pour some toothpaste in your bathroom sink, you can use a sponge to scrub the sink and after that you can rinse it properly with clean water. With this method you will be able to have a shiny sink for sure. If you want you can use your bathtub also with this method and you can have shiny bathtub as well. Along with that, you can use the same for cleaning of your kitchen sink as well. You need to follow the same method for cleaning of your kitchen sink and you can get amazing result with ease in a great way. Get rid of stains from fabric: On your fabric, you can have different kind of stubborn stains that becomes almost impossible to remove without dry cleaning. If you have any kind of stubborn stains such as lipstick, ink stains, or grease on your fabric, then you can use toothpaste to remove that stain. For this requirement you can simply rub some toothpaste in your stain using a toothbrush and that will remove the stain easily. However, before you apply this method on your dresses or fabric, it is a wise idea that you do a spot testing to confirm the toothpaste is not affecting colour of your fabric. 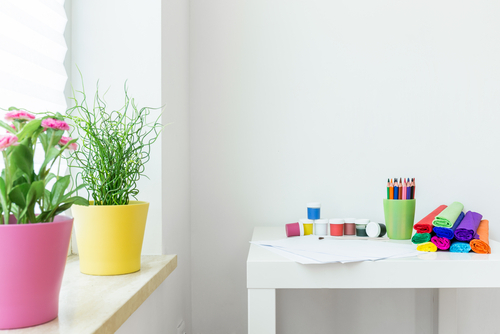 Remove crayon from your wall: If you have some kids in your family, then you may have a lot of crayon stains as well on your walls. That is the story of every home and these crayon marks can be one of the most stubborn stains to remove. Thankfully you can remove the crayon marks easily with the help of toothpaste. In order to remove the crayon marks from your walls, you can use a damp cloth and you can dub some toothpaste on it. After that you can scrub the same and you can try to remove the crayon from you wall in a circular motion. In a good situation it should remove the crayons from your wall and you will be able to get a good result as well with ease. However, you need to remember that it might hurt the paint of your wall as well. To avoid that issue, you should do a patch test before applying the same for the cleaning of your wall. Clean your furniture: If you have plastic furniture in your home then you can clean that also with the help toothpaste. If you have any kind of stain or mark on your plastic furniture then you can simply rub some toothpaste in it and that will help you have clean furniture. The good thing about this option is that if you will use it for cleaning of your furniture, then you will be able to have really great shine as well with it. So that is one more good thing that you can do f this particular requirement that too without any kind of trouble. You can use this particular option to clean your outside furniture as well as your inside one also. The only limitation is that if you are using it to clean wooden furniture’s then you should test it accordingly to get the best outcome for same. In addition to these things, there are so many other things are also there that you can do to clean come stubborn stains from any place in your home. The good thing about this option is that you will be able to clean things without any kind of problem and you can have fantastic outcome as well with ease. So, if you have any kind of stubborn stains in your house them you can use that option for same. Also, these details can simply explain it to you that if you have any kind of stubborn stains in your house at any place, then you will be able to remove that easily with toothpaste.